The LCC600 series of fully enclosed conduction cooled AC-DC power supplies comprises four models, offering main output voltages of 12 V, 28 V, 36 V or 48 V. Each model also provides a 5 Vdc standby output that can supply up to 1.5 amps. Rated at 600 watts, these power supplies incorporate a thermal baseplate and are capable of delivering full output power over a wide operating temperature range of -40 to 85˚C. For maximum applications flexibility, the main output is adjustable. 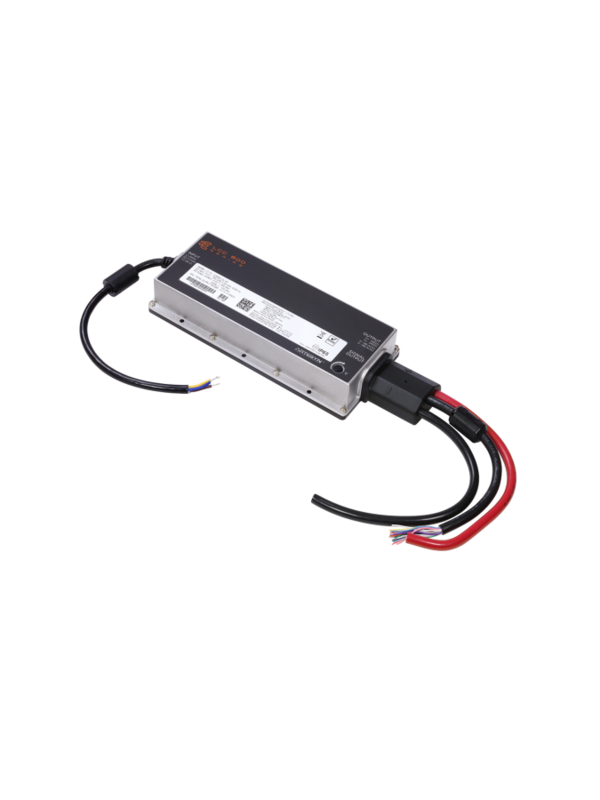 The 48 V model, for example, can be adjusted from 44 to 54 V and has a maximum current rating of 12.5 amps.These power supplies feature a universal 90–264 Vac input and are optionally available with a 180–305 Vac input for use in three-phase mains input applications with a 277 Vac Line-to-Neutral configuration.LCC600 series power supplies are especially suitable for use in harsh environments. Housed in a robust metal case, they are available with standard input/output connectors or in fully sealed versions with integral cables that carry an IP65 rating against water or dust ingress. Their fanless operation also makes these power supplies ideal for environments where acoustic noise or dust disturbance would be an issue, such as in offices or medical facilities. Typical applications include telecommunications antenna and base station equipment, control consoles and outdoor/indoor signage – a constant current mode is provided for LED lighting/Horticultural Lighting. Versions with medical safety approvals are available for BF type applications such as patient monitoring systems and ultrasound equipment.Standard features include AC OK and DC OK signals, remote inhibit and differential remote sense on the main output. The power supplies are comprehensively protected against overtemperature and output overcurrent conditions, with latching overvoltage protection of both the main and standby outputs. LCC600 series power supplies support active current sharing – up to five units can be connected in parallel for high current applications.LCC600 series power supplies have a compact 4 x 9 inch (101 x 228 mm) footprint and a height of just 1.57 inches (40 mm).All LCC600 series power supplies feature a PMBus™-compliant I2C communication interface to facilitate remote set-up and monitoring. A built-in EEPROM is provided for storing manufacturing and customer data.